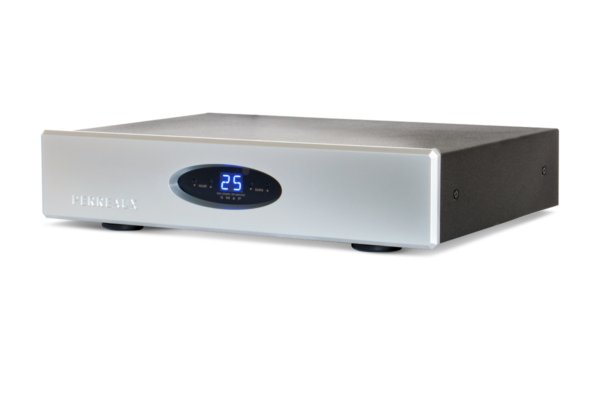 The Perreaux Prisma Series SM6 MkII Balanced Stereo Preamplifier is a fully balanced hi fi audio stereo preamplifier. Utilising discrete Class-A signal and line stages in a fully balanced topology, the SM6 MkII presents music with the realism of the performance itself. With six separate regulated power supplies the sensitive analog stages are isolated from all power supply artifacts, allowing dynamic transient attacks to appear from a black background. The wide frequency response of the SM6 MkII enables the entire audio spectrum to be portrayed in an articulate manner, ensuring you’re not left guessing. As with all Perreaux products, the design is completely solid state, featuring the finest audiophile grade components throughout. The SM6 MkII is a fully balanced stereo preamplifier, from input to output. The positive and negative halves of the signal never touch. This is very rare and only the highest quality hi fi audio preamplifiers have this architecture. 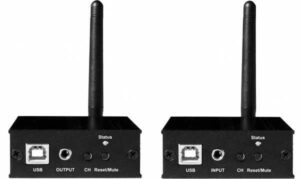 The Class-A line stages have been designed to provide output buffering, so the user can drive low impedance loads over long cable lengths using any cable, without affecting the quality of the audio signal. There is a separate power supply for each section of the preamplifier; one for each of the volume control ICs (one IC is used for each of the left and right channels to keep the system fully balanced and, therefore to maintain separation each IC is supplied with it’s own separate power supply), another one for each of the output buffering stages (once again because the SM6 MkII runs a fully balanced system, this means that there are two separate output buffer stages), yet another to power the digital logic and the final power supply looks after the input and output relays. The advantage of is that there is complete isolation from stage to stage, and most importantly digital noise is completely kept from infecting the analog audio section. Many audiophile hi fi audio components are still provided with analog controls that are adjusted on the faceplate of the unit. While total control from the remote is common practice in standard products, it is not yet widely utilised on many high-end audio systems. Obvious advantage is that you don’t have to get out of your chair to make an adjustment. 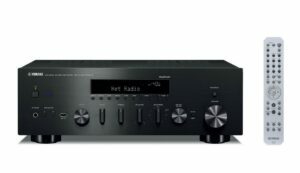 The SM6 MkII features a direct input (processor loop), which bypasses the preamplifier for use in a home theatre system. We pay particular attention to designing the product to ensure maximum separation between internal signal and power earths, only meeting at a central starred point. Wima signal capacitors, custom wound multi tap epoxy potted toroidal control transformer directly soldered to the PCB, highest quality fiberglass PCB allowing special treatment to be given to earth planes and layout with minimum dielectric, hand soldered through-hole mounted components. The SM6 MkII uses two digitally controlled resistor ladder volume controls. This is because we treat the positive and negative parts of the signal separately (true balanced system). The advantages of using a digitally controlled analog resistor ladder to adjust volume are – precise control, no contacts to corrode creating wiper noise and no analog component drift. Any manufacturer who uses a comprehensive remote control will use relays. 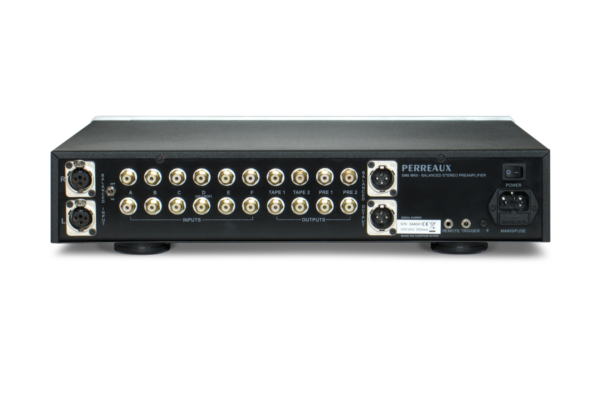 However, Perreaux employs the use of high quality relays with gold plated silver contacts, thereby further lessening the chance of degrading the audio signal. You do not need to purchase an RCA style splitter if you want to drive two separate audio power amplifiers simultaneously (for example in a bi-amp situation) or if you wish to include a subwoofer in your system, as there are dual preamp outputs. Quality PCBs featuring heavy copper tracks and components are used throughout the unit. Dual 5V remote trigger outputs are provided to allow connected components to be powered ON or OFF as the SM6 MkII is taken in and out of standby.